So is this going to be Jason Sudeikis' last episode? did she cut her hair for real for the role and it's just in the awkward growing out stage? ah ok, that explains a lot actually. 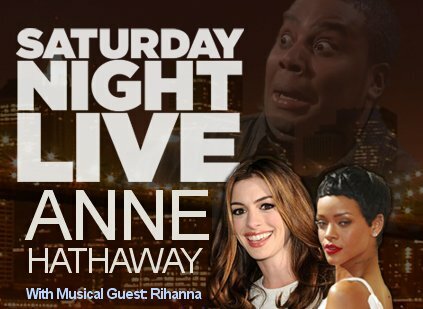 i really like anne hathaway fsr. probably because of the princess diaries. Is it just me or does Taran's package look especially big tonight? Like it's all I could think about during that Romney sketch. GDI WARN US BEFORE YOU SHOW HIS FACE, NBC!